The other type of L/C facility offered by ONE Bank Limited, Gulshan Branch is Export L/C. Readymade textile garments (both knitted and woven), Jute, Jute-made products, frozen shrimps, tea are the main goods that Bangladeshi exporters export to foreign countries. Garments sector is the largest sector that exports the lion share of the country’s export. 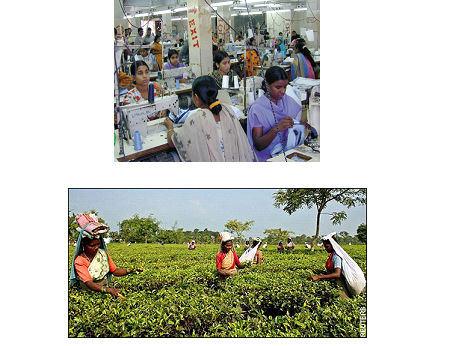 Bangladesh exports most of its readymade garments products to U.S.A and European countries. Bangladesh export about 40% of its readymade garments products to U.S.A. Most of the exporters who export through ONE Bank are readymade garment exporters. They open export L/Cs here to export their goods, which they open against the import L/Cs opened by their foreign importers. The exports from Bangladesh are subject to export trade control exercised by the Ministry of Commerce through Chief Controller of Imports and Exports (CCI & E). No exporter is allowed to export any commodity permissible for export from Bangladesh unless he is registered with CCI & E and holds valid Export Registration Certificate (ERC). The ERC is required to be renewed every year. The ERC number is to be incorporated on EXP forms and other documents connected with exports. After having the registration, the exporter applies to OBL with the trade license, ERC and the Certificate from the concerned Government Organization to get EXP. If the bank is satisfied, an EXP is issued to the exporter. ü Sector (Public or Private) under which the Exporter falls. Upon registration, the exporter may proceed to secure the export order. Contracting the buyers directly through correspondence may be done. Some buyers of goods like Jute and Jute goods maintain liaison office, representative of local agents who can be contracted to secure a deal. Sometimes, TCB, BJMC and BJEC secure bulk contracts and pass or allocate the contracts to the actual exporters. ü The terms of the L/C are in conformity with those of the contract. ü The L/C is an irrevocable one, preferably confirmed by the advising bank. ü The L/C allows sufficient time for shipment and a reasonable time for registration. ü If the exporter wants the L/C to be transferable, divisible and advisable, he should ensure those stipulations are specially mentioned in the L/C. ü Freight certificate from the bank in case of payment of the freight at the port of lading is involved. ü Railway Receipt, Berge Receipt or Truck Receipt. In deferred payment, the bank agrees to pay on a specified future date or event, after presentation of the export documents. No bill of exchange is involved. In OBL, payment is given to the party at the rate of D.A 60-90-120-180 as the case may be. But the Head office is paid at T.T clean rate. The difference between the two rates is the exchange trading for the branch. In acceptance credit, the exporter presents a bill of exchange payable to himself and drawn at the agreed tenor (that is, on a specified future date or event) on the bank that is to accept it. The bank signs its acceptance on the bill and returns it to the exporter. The exporter can then represent it for payment on maturity. Alternatively he can discount it in order to obtain immediate payment. At the beginning of the each month (within the first week), the reporting regarding the following information is mandatory. ü Filling of E-2/P-2 schedule of S-1 category; which covers the entire month amount of import, category of goods, currency, country etc. ü Filling of E-3/P-3 schedule for all charges, commission with T/M form. The above Table 6 and Figure 30 shows the total number and the total amount of Export Documents Negotiated from the period of January 2005 to the half year end of June 2007 of ONE Bank Limited, Gulshan Branch. From the chart, it is evident that the number and the amount of Exports have increased gradually. In comparison of the year 2005, the value of Exports increased in the year 2006 in both the segments (January – June) and (July – December). The total amount therefore increased at the year end 2006. At the half year end of 2007 (January – June), the value of exports have also increased. It can be forecasted that at the year end 2007, the value of Exports will cross the figures of 2005 and 2006. As the Economy of Bangladesh is developing, the trade of home country with the foreign countries is increasing in number. Exports are always encouraged by the government of any country as it contributes in the development of the National Income. The majority of the Export Documents Negotiated in the OBL, Gulshan Branch is prepared for the Garments Businesses and other business sectors which include Shrimp Export, Tea, etc. The above Figure 30 shows the Exports Documents Negotiated of the year 2005. The Table shows that the months from August to December, the value of Exports is greater than the figures of the months from January to July. The later half of the year experienced greater amount of Exports which indicates that there were more businesses that have opened the documents to export the goods to other local and business institutions, than the earlier months. The above Figure 31 shows the Exports Documents Negotiated of the year 2006. The Table shows that the months from July to December, the value of Exports is greater than the figures of the months from January to June. The later half of the year experienced greater amount of Exports which indicates that there were more businesses that have opened the documents to export the goods to other local and business institutions, than the earlier months. The above Figure 32 shows the Exports Documents Negotiated of the half year end of 2007 from the period of January to June. ONE Bank Limited, Gulshan Branch rendered the services to the business clients in larger amounts in the half year end of 2007 than any other time. The number and the total amount of Exports are higher and the figures have increased gradually over the time. This indicates that the businesses are flourishing in the country as the increase in Exports shows the position of the economy. It is predicted that by the year end of 2007, the number and the value of Exports will increase to a greater extent. One of the primary functions of commercial banks is sanctioning of credit to the potential borrowers. Bank credit is an important catalyst for bringing about economic development in a country. Without adequate finance, there can be no growth or maintenance of a stable economy. Bank lending is important for the economy, because it makes possible the financing of agriculture, commercial and industrial activities of a nation. At the same time, a bank will, therefore, distribute its funds among various sectors in a manner as to derive sufficient incomes. When an advance is made in a lump sum repayable either in fixed monthly installments or in lump sum and no subsequent debit is ordinarily allowed except by way of interest and incidental charges. etc, it is called a Loan. Loan is allowed for a single purpose where the entire amount may be required at a time or in a number of installments within a period of short span. After disbursement of the entire loan amount, there will be repayment by the borrower in installment. A loan once repaid in full or in part cannot be drawn by the borrower. Entire amount of loan is debited to the loan account in the name of the customer and is paid to him/her through his/her SB/CD/Loan account. Some times loan amounts are disbursed in cash. Loans are generally secured by lien on fixed/term deposits, shares, debenture, Policy, Pledge of gold, Mortgage of Real Estates and hypothecation of stocks, vehicles, machineries etc, depending upon the nature & purpose of the loan. Safety should get the prior importance in the time of sanctioning the loan. At the time of maturity the borrower may not will or may be unable to pay the loan amount. Therefore, in the time of sanctioning the loan adequate securities should be taken from the borrowers to recover the loan. Banker should not sacrifice safety for profitability. ü The repaying capacity and willingness of the debtor to repay the loan with interest. Banker should be careful in the selection of security to maintain the safety of the loan. Banker should properly evaluate the proper value of the security. If the estimated value is less than or equal to loan amount, the loan should be given against such securities. The more the cash near item the good the security. In the time of valuing the security, the Banker should be more conservative. As a commercial origination, Banker should consider the profitability. So banker should consider the interest rate when go for lending. Always Banker should fix such an interest rate for it is lending which should be higher than its savings deposits interest rate. To ensure this profitability Banker should consider the prospect of the project. ONE Bank Limited exercises its lending function only on productive purpose. ONE Bank Limited also considers national aspect of any project while financing. They take utmost care so that the project cannot be detrimental to the society as well as to the nation. The overdrafts are generally allowed on a Current account operated upon by Cheques. The customer may be allowed a certain limit up to which he can overdraw within a stipulated period of time. In an overdraft account withdrawals & deposits can be made any number of times within the limit and prescribed period. Interest is calculated and charged only on the actual debit balances on daily product basis or may be decided by the competent authority. Temporary Over Draft is allowed to honor an important Cheque of a valued client without any prior arrangement. As this facility is allowed for a very short period, it is called Temporary Overdraft. Sometimes Overdrafts are allowed with no other security except the personal guarantee of the borrowers. These types of overdrafts are called Collateralized Over Draft. It is a continuous advance facility. When Overdrafts are allowed against securities they are called Secured Overdrafts. Overdrafts are generally granted to contractors & supplies for carrying on construction works and supply orders and to businessmen for expansion of their business. SOD is generally allowed against securities of fixed & term deposits shares/debentures, PSP, Insurance Policy, Real Estates, etc: depending on the nature & purpose of advance. By this agreement, the banker allows his customer to overdraft his current account up to his credit limits sanctioned by the bank. The interest is charged on the amount, which he withdraws, not on the sanctioned amount. Cash Credit is allowed to the businessmen, traders and industrialists etc. for meeting their working capital requirements. Cash Credit is always allowed against hypothecation or pledge of goods. Cash Credit allowed against hypothecation of goods is known as Cash Credit (Hypo) limit. In cash of hypothecation, the borrower retains the ownership & possession of goods on which charge of the lending bank is created. Hypothecation is a legal transaction whereby goods are made available to the lending banker as security for a debt without transferring either the property in the goods or either possession. The banker has only equitable charge on stocks, which practically means nothing. Since the goods always remain in the physical possession of the borrower, there is much risk to the bank. So, it is granted to parties of undoubted means with the highest integrity. The documents which cerate charges of the lending Bank on the hypothecated goods is called letter of hypothecation. By signing this letter hypothecation, the borrower binds himself to give possession of the hypothecated goods to the lending Bank when called upon to do so. As the hypothecated goods remain under the possession of the borrower, such advance is more or less clean. ü The Banker should carefully verify the stocks of hypothecated goods and their market price. ü Periodical statement of stock duly signed by the borrower should be obtained. ü Stocks should be duly insured against fire, burglary. ü Banker should try to obtain sufficient collateral security. ü The borrower should be trustworthy & prudent customer. ü The goods are readily saleable and have good demand in the market. ü The price of the goods, offered as security, is to be calculated as per following principle. Purchase price or market price whichever is lower. ü The prices of the goods are steady etc. Cash Credit allowed against pledge of goods known as Cash Credit (Pledge) limit. In cash of Cash Credit (Pledge) limit, the borrower pledges his goods to the Banker as Security against the credit facility; Pledge has been defined as “a bailment of goods as security for payment of a debt or performance of a promise”. The ownership of the pledged goods remains with the pledge. ü D.P. Note. (ii) DP Note Delivery Letter. ü Letter OF Partnership along with Registered Partnership Deed and personal guarantees from the partners in case of Partnership Account. ü Resolution along with Memorandum & Articles of Association and the personal Guarantees from the Directors in case of Limited Co.
ü Other documents to be obtained depending upon the nature of securities offered. ü Any other document as per rule or the competent authority desires. These are the loans sanctioned for repayment in period more than one year. These are the term loans awarded to the large industrial concerns. This facility is usually provided to set up a new industrial project or to modernize and restructure an existing one. Since the time frame of this type of lending do not correspond to the duration of bank’s prime source of funding, generally bank predetermines the optimum extent of global exposure in this sector. As such, consideration of bank’s existing policies and positions in this sector are of great importance in considering a credit request in this sector. The lending interest rate for large and medium industries is 12.00%. These are the term loans made to other than industrial concerns, specially the small and cottage industries. It this case also, a through analysis is required. The lending interest rate for small industries is 11.50%. These are the term loans made to the agricultural sector, specially to the primary producers and agricultural input traders and fertilizer dealers. The lending interest rate for agricultural industries is 8.50%. Banks also undertakes import finance both in the form of pre-import and post-import finance. Since in pre-import finance bank’s is not involved, it is not included in the total loans and advances position of the bank and conversely as bank’s fund is involved in post-import finance, the same is included in the over all loans and advances position of the bank. This is a pre-import finance, which is made in the form of commitment on behalf of the client to pay an agreed sum of money to the beneficiary of the L/C upon fulfillment of terms and conditions of the credit. Thus at this stage bank does not directly assume any liability, as such the same is termed as contingent liability. For this type of facility credit worthiness of both the importer and supplier, estimation of total landed cost as well as selling price of the merchandise, ready marketability of the merchandise etc. are of great importance. In granting this type of credit it shall be invariably decided whether the client will require any post import finance and if so same shall be ascertained and decided beforehand. Financing of commercial imports under this category demands credit personnel’s through knowledge about the marketing aspects of the commodity specially evaluated in terms of its demand, domestic as well as county’s import situation of the same. Besides the anticipated demand-supply situation, another thing should be evaluated, which is, at the estimated date(s) the imported merchandise is expected to reach the market for sale. For L/Cs usually bank retains margin in respect of value of the credit and the same is fixed depending on the banker- customer relationship as well as the nature of item. Usually 100% margin is retained in cash of importation of perishable items. This is also a post- import finance facility awarded to retire import bills directly or under PAD as the case may be. In this case, bank may or may not realize margin on the total lender cost, ending upon banker customer relationship. However, in this category of finance possession of the goods remains with the borrower and the borrower executes’ letter of trust receipt’ in acknowledgement of debt and its repayment along with interest within agreed period in acknowledgement of debt and its repayment along with interest within agreed period of time. Since goods are held in trust, any misappropriation of the same will entail the borrower to be liable for initiating ‘criminal’ charge against him. Advances allowed for retirement of shipping documents and release of goods imported through L/C taking effective control over the goods by pledge fall under this type of advance. When the importer failed to pay the amount payable to the exporter against import L/C, then ONE Bank Limited gives loan against imported merchandise to the importer. The importer will bear all the expenses i.e. the Godown charge, insurance fees, etc. and the ownership of the goods is retain to the bank. This is also a temporary advance connected with import, which is known as post import finance. Like importing trade, OBL advances in export trade at both pre and posting shipment stages. In this type of advance, standing of both opener and beneficiary of export L/C as well as standing of the L/C issuing bank etc. is of important consideration. The terms of export L/C are examined very carefully so as to ascertain the terms of the finance. The lending interest rate for export oriented industries mainly the jute industry is 7.00%. BBL/ C is a type of pre-shipment finance by way of opening L/C in favor of a local or foreign supplier for purchase of raw materials or the finished merchandise, as the case may be, to execute export order. 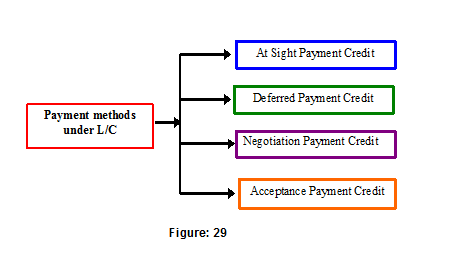 This type of L/C is only opened on the strength of an export order received by way of an L/C or firm contract with or without realization of case margin or collateral security depending upon banker-customer relationship. Since for opening BBL/C, no fund of the bank is immediately involved, the same is not included in the total loans and advances position of the bank. This type of credit is usually opened on identical terms of the export L/C are retired from the export proceeds of the relevant exports usually within 180 days from the date of credit. In awarding this type of facility particular care shall be taken to see that there remains adequate time to process the raw materials / intermediary or finished products imported under BBL/C to execute the work order. To execute export orders under L/C or firm contract the bank awards packing credit facility to meet client’s working capital requirement. In this case also bank may or may not retain collateral security depending upon banker -customer relationship. The facility is to be adjusted, usually, within 180 days from the date of disbursement from the relevant export proceeds. This is a post-shipment finance allowed to the customer through the purchase/negotiation of foreign documentary bills adjustable from the relevant export proceeds. This type of finance made out to purchase foreign clean bills such as foreign currency draft, Cheque etc. Bills that are drawn as per the L/C terms accompanied by all the required documents shall only be taken consideration. No discrepant bills are purchased. The facility is generally allowed to a very well known client with good standing save in the case of encashment of Traveler’s Cheques. This facility is accommodated both for export and local trade. The payments made by negotiation/purchase of documentary bills against sale of goods to local export oriented industries which are deemed as exports and which are denominated in local or foreign currency are included in this category. Besides local documentary bills purchased in respect of sale to a local purchaser is also included in this category of financing. Bills that are drawn as per the L/C terms accompanied by all the required documents shall only be taken into consideration. No discrepant bills are purchased. For providing finance for commercial purposes, apart from borrower’s stake at the proposal his creditworthiness, resourcefulness etc. are thoroughly determined. An extensive analysis is made to ascertain different aspects of the proposed credit such as: borrower’s experience, managerial ability, that the proposed route/purpose has adequate room for the proposed entrant etc. In this type also the repayment period and terms including development period should reflect the reality of the finance. Mainly the jute traders and other commercial business organizations take this type of loans. The interest rate for commercial lending is 11.50% for jute trading and 12.00% for others. be kept as cash collateral (FDR, Stocks, etc.) with the bank. The purchased items are hypothecated with the bank. The disbursement of the loan is effected by debiting time loan / term loan account to be opened in the name of the borrower. Loan amount is disbursed through A/C payee pay order / Demand Draft directly to the seller after submission of the indent, deposit of client equity & completion of documentation formalities. The bank obtains post dated A/C payee checks drawn in favor of the bank for the monthly installments covering the lending period from the borrower & the loan amount is adjusted on the due date of installments. Officials of government, semi- government, autonomous, semi-autonomous, reputed multinational corporations, locally reputed private organizations, banks and other financial institutions etc. are eligible to avail the facilities under the scheme. However in extending credit, the approving authority should exercise the discretion very creatively so as to assure proper monitoring and repayment. The standing of the organization the official belongs to, be of great importance in extending credit under the scheme. The lending interest rate for C.C.S is 12.00%. These loans are alternative of term loan and are the loans made to finance those who require house-building loans for both commercial and non-commercial purposes. Being a variant of term loan, in this cash too, banks usually have predetermined optimum exposure level, which shall always be kept in mind in considering financing under this category. Besides borrower’s standing is thoroughly checked and only fairly cleared clients are entertained. be considered), estimated cost vis-à-vis borrower’s stake, suitability of building’s proposed use, duly passed plan/clearance from the competent authority etc. Like industrial term loan, the repayment schedule and moratorium carry a great weight in this type of finance. These are the houses building loan made to other than an employee of the bank. The main clients of this type of loans are the real estate developers, the housing finance companies who want a large amount of money for construction of house buildings. The lending interest rate for general house building loan is 11.50% to 12%. These are the houses building loan made out to the employee of the bank. The lending interest rate for staff house-building loan is 8.00%. This type of loan is made to facilitate purchase of all types such as: road transports, watercrafts, aircrafts etc. However, commonly financed transports are road transports. Only brand-new and 100% reconditioned transports are eligible for financing. In cash of importation of the vehicle total borrowed cost is to be calculated and retirement arrangements shall be determined before hand. This category of finance may be of short term or long term depending upon the nature of particular advance. Nevertheless, in this sector also, bank usually has a predetermined global level of stake to be under taken. Loans allowed to the manufacturing units to meet their working capital requirement, irrespective of their size big, medium or large, fall under the category. But the main applicants of this type of loan are the jute industries. The interest rate for this type of lending is 11.50% for jute trading and 12.00% for others. This type of finance is used to purchase/discount local clean bills such as local currency drafts, Cheques, trade bills etc. Again this type of facility is generally to a very well known client with good standing. The prime concern in this type of advance is client’s integrity and resourcefulness. Unless the bank is satisfied that the borrower will liquidate the liabilities with interest from his own resources in the event of dishonor of the bill, the facility should not be awarded. Usually trade bills are discounted which are interest bearing. In case of discounting of such bill interest is first computed on the principal amount of the bill and than discount is computed on the amount resulting from the principal amount of the bill plus interest. For IBP generally commission, charges etc. are realized and for IBD bank collects discounts at a prescribed rate to reimburse themselves to cover the cost of fund. In both the cases suitable collection charges are recovered. The employees of the bank get a special credit facility along with the house-building loan and it is the car loan. They can borrow money from the Bank in a low interest rate and buy automobiles. The lending interest rate for staff car loan is 8.00%. ü Financial statements (balance sheet, cash flow statement, and income statement). Report from Credit Information Bureau of Bangladesh Bank if the amount is more than TK.10 Lac. Borrower analysis is done from the angle of 3-C (character, capital, capacity) or 3-R (reliability, resourcefulness, responsibility). It follows that the bank forms a rational judgment about the integrity of the borrower, which should be undoubted. The human skill, conceptual skill, operational skill is qualitatively analyzed. Business analysis is done from two angles-terms, conditions, and collateral securities. Bank Guarantee is the best way to earn profit without any cost. The exporter pays the payment of the imported goods on behalf of the importer through a bank guarantee. If the importer fails to make the fulfill payment at the moment the bank will remain liable to the exporter until and unless the importer pays the money of the imported goods. This type of guarantee also is needed to attend in any tender. The tender guarantee assures the tender that tenders shall uphold the conditions of his tender during the period of the offer as binding and that he /she will also sign the contract in the event of the order being granted. A Performance guarantee expires on completion of the delivery or performance. Beneficiary finds that as a guarantee, the contract will be fulfilled in every respect and can retain the guarantee as per provision for long time. Including a clause stating that the supplier can claim under the guarantee, by presenting an acceptance certificate signed by the buyer can counteract this. This type of guarantee is given against work order. This idea can be made clear with the help of an example. Before the construction of JamunaBridge, the Government collected money from different sources to pay the contractors in advance. But, there was a risk for the Government that the contractors might not do there construction work even they were paid in advance. So, the Government asked Bank Guarantee from them. Then the contractors submitted Bank Guarantee to the Government. This type of Guarantee is called Advanced Payment Guarantee. 1) Evaluate borrower’s nature for reliability and keenness to pay. 2) Evaluate borrower’s loan settlement capability. 3) Develop action plans for the likelihood of non-payment. 4) Extension of credit in satisfactorily controllable risk areas. 6) Perform the credit process in an ethical manner. 8) OBL requirements must be followed in ensuring the credit exposures & operations. 9) Try to achieve an acceptable equilibrium between risk and reward. 10) Construct and sustain a diversified credit portfolio. A borrower’s capacity and commitment to repay a loan are two important factors to a bank. In this respect, the bank has to examine the customer’s records and background in his former credit / loan related dealings. The bank should not engage itself into any commitment where there is potential threat and in these cases the bank the bank should be prepared for some exit plans. The loan servicing capacity of the borrower is an essential factor that has to be assessed by the bank prior to the extension of any credit facilities. For this purpose, financial techniques and procedures can be used by the bank. The bank should examine the customer’s reason for borrowing, major modes of repayment, historical and projected financial information, industry and competitive position, managerial skills, information source and systems, borrower’s operational efficiency, cyclical fluctuations in operations, supply and distribution position. Any kind of loan carries the possibility of default and thus it is very important for the bank to assess the secondary and tertiary modes of repayment along with the primary source. For this purpose, the bank should consider the security value, value impairment conditions, should define and document the terms and conditions of loan and ensure effective assessment. To avoid any potential adverse situation, the bank should engage itself only in those areas where it can effectively manage and handle the transaction risk as well as the entity or business risk. In this regard, the bank has the responsibility toward developing and maintaining a productive and efficient relationship with the borrower. The independent credit participation of the credit officials is desired since it can aid in achieving the benefits of synergy and accountability. The credit personnel should utilize his or her personal skill and ability in determining the credit worthiness of the borrower and should convey all positive and negative information in time of seeking credit approval. Any kind of unethical and illegal behavior, speculation, conflict of interests is prohibited in OBL. Customer related information should be kept confidential. The bank has to be proactive in identifying the state of the borrower’s after disbursement performance. Regular monitoring of the accounts, prompt reporting of material deterioration, utilizing Early Warning System (EWS), adjusting of lending terms and conditions are also important factors to be conformed. Bank’s guidelines, requirements and internal directives must be complied with. The Relationship Manager must exercise his or her judgment in unforeseen circumstances. The bank should be compensated for the risk it takes. Therefore, an appropriate as well as competitive pricing strategy has to be followed. Credit exposure, loan period, security, credit structure etc. should be arranged in accordance with the bank’s policies and guidelines keeping the risk return priorities in view. Undiversified investment can expose the bank to industry specific risk. Therefore, OBL has to stick to its policy about sectoral allocation of portfolio, maintain approved ceiling for single borrower, and accurately identify risk characteristics of each exposure. Cash flow from the business / other sources of sponsors. The above Figure 34 and Appendix 9, pg 204, 205 & 206 shows the total sector wise outstanding loan information of ONE Bank Limited, Gulshan Branch from the year 2005 to 2007 (January to June). During this period OBL, Gulshan Branch, sanctioned Tk 122.55 Crore in 2005, Tk 167.91 in 2006 and at the half year of 2007 the amount was Tk. 138.12 under Current Sanction Loans. The figures of 2007 indicate that, the amount of sanctioned loans has increased and by the end of year 2007, the amount of sanctioned loans will increase by a greater amount than that of 2005 and 2006.The amount of current disbursed loans have also increased and this current year also shows an increasing trend. The bank was able to recover the loans it was disbursed and the other factor also indicates that the number of loan applicants in the country is increasing day by day. This shows that the money that they are taking as loans from the banks is being invested in the different sectors. Business development is taking place and new Entrepreneurship business is flourishing. Mainly the loan sanctioned and disbursed is being allocated mainly to the Ready Made Garments Industries and other business sectors. This will eventually benefit in the growth of the business and trade sector of Bangladesh. Nowadays Retail Banking is considered to be a very important department in terms of increasing the marketing and sales of the schemes provided by the banks. Using different kinds of promotional activities and direct personal selling, the activities are carried out. The banks introduces various packages for the clients as saving schemes which helps the banks to earn interests and give benefits for clients as they are able to secure their savings through the attractive schemes offered by the banks. ONE Bank Limited also provides Retail Banking to its clients. ONE Bank Limited, Gulshan Branch does have a department of Retail Banking, some of the activities are controlled by Gulshan Branch and other are looked after by the ONE Bank Limited, Corporate Head Quarter. Assigned Credit Limits are dependent on various criteria line applicant’s age, income and profession. Once approved the limit will be communicated to the applicant. Cardholder may enjoy between 15 and 45 days of interest free credit, from the date of transaction. On receipt of the monthly statement the options are to either pay in full or only 10% of the current balance indicated. If the client’s current balance is less than BD Tk 500, then the client have to pay in full amount. Outstanding amount of monthly statement will attract interest @ 2.5% per month and will be calculated on a daily basis on the card amount from the posting date. If any person between 21 and 60 years of age and have a steady job or income that pays the applicant at least BD Tk 120,000 annually (gross), the person can apply for a ONE BANK MasterCard. These prices are excluding applicable VAT charges. Additionally, two supplementary/ add-on cards may be issued. Additional cardholder’s transactions will be automatically debited to the principal cardholder’s monthly statement. ONE BANK MasterCard allows the facility to draw cash up to the extent of 50% of the client’s credit limit. Cash advance is available at ONE Bank branches and ATMs displaying the MasterCard Logo. Availing cash advance attracts applicable fee and amount withdrawn will be subject to interest from the transaction date. If the card is lost or stolen, the cardholder can simply call ONE Bank’s 24-hour Help Desk. The cardholder can report the loss by fax to ONE Bank Limited within 24 hours. These steps are essential to prevent fraudulent transactions on the lost card. The Credit Cardholders are recommended to maintain an account (not Mandatory) with ONE Bank Limited, thereby enabling convenience of auto monthly, settlement of the bills, by filing a ‘ Standing Instruction’ to this effect. The applicant can just visit any ONE Bank branch or contact ONE Bank Limited, Retail banking Division, Card Services for more information. The employees will be happy to help the client with the application. These are the activities that the client can follow to apply for a ONE BANK MasterCard and get the benefit of the new generation banking services. Since the banks operating in Bangladesh are all focusing in improving the facilities of Credit and Debit cards and the clients are also looking for further benefits, therefore it is a challenge for ONE Bank Limited to prosper the use of Cards among the clients. ONE Bank will finance up to 80% for a brand new car and 70% for a reconditioned vehicle’s quoted price. Loan can be availed up to 18 (Eighteen) times of the gross monthly income of the clients applying for the loan. Additionally, if quasi-cash or other securities acceptable to the bank are provided, the bank at its discretion may allow preferential interest rates. Bangladeshi nationals between the ages of 21-54 years, a monthly income of at least Taka 30,000 and having a minimum of two years working or business experience (reputed local companies, multinational firms, Government organizations, autonomous bodies, engaged in business or a self employed professional). The maximum repayment period is 60 months for a brand new car and 48 months for a reconditioned car. Based on the client’s convenience, they can choose from 12, 24, 36, 48 or 60 equated monthly installments (EMI) to repay the loan. How can the customers apply? The clients can visit any of the branches of ONE Bank Limited, fill up the loan application form and provide copies of required supporting documents. Completed application will be processed on a priority basis. Members of ONE Bank Direct Sales Team can also contact with the clients with details of the bank’s Retail Banking products and schemes. The clients can themselves contact with the sales personnel for further assistance at any of the branches of ONE Bank Limited. ONE BANK CAR LOAN proved to be a successful scheme for ONE Bank Limited in the years of operation. Many middle and upper middle class customers, who are not able to purchase a car with a large amount of capital, are able to apply for easy term loan from the bank. As OBL have given the customers the scope to purchase a car, so the customers are having the benefits to finance the amount required for the purchase. Many applicants have submitted the proposal of buying a car of their own, the bank needs to evaluate the proposal and sanction the loan under ONE BANK CAR LOAN Scheme. The bank has long term plan to develop this scheme and introduce new ideas so that more and more client can take the benefit out of it. The clients can go for one or more schemes, even with different deposit amounts and tenors. In the event of premature encashment, OBL will still give the clients attractive interest rates. ONE 2 3 Scheme is also another popular scheme introduced by ONE Bank Limited. Since its launch, the scheme seemed to be very popular among the clients. The scheme of doubling the clients saving in certain offered time is seen as a lucrative and profitable offer by the customers wishing to open this scheme. It is a secured and risk free program for the applicant and day-by-day more people are eager to take the scheme. OBL is emphasizing more into the development of this scheme and other benefits related to it. the younger generation having plans to start a family in near or distant future. MARRYSAVE can also support starting up a new family in a new home by funding the costs involved at the initial stage. The clients receive the amount mentioned in the table on maturity. The clients can just open an account with OBL and pay the monthly installment by giving the bank a standing instruction. The clients are free to choose more than one scheme with different installment amounts and tenors. If the clients are the lucky winner of the OBL’s monthly raffle draw, ONE Bank will contribute to the clients account next month’s installment. In the event of premature encashment OBL will still give the clients interest at the Savings Deposit rate. Simple! If the client has a saving of Tk. 10,000 and wish to invest it for a higher return, they can put the fund in the Money-spinner Plan. OBL will add 4 times to the amount and invest a sum of Tk. 50,000. All the client has to do is to repay Tk. 40,000 through 60 monthly installments of Tk. 888. At the end of the fifth year, the client will collect from OBL an amount of Tk. 86,250. The yield is 14.50% per annum. Money-spinner is available in units of Tk. 50,000. PENSAVE is a specially designed scheme for the socially conscious citizens. This special saving scheme will provide the financial security during retirement days of the respective clients. PENSAVE is a secured future of the years ahead. To know more about PENSAVE scheme introduced by ONE Bank Limited. The client will receive the amount mentioned in the table on maturity. Just open an account with OBL, and pay the monthly installment by giving the bank a standing instruction. If the clients are the lucky winner of the monthly raffle draw, ONE Bank Limited will contribute to the client’s account next month’s installment. reality. EDUSAVE can support the expenditure for higher study at home or abroad. Just open an account with OBL, and pay the monthly installment by giving us a standing instruction. In the event of premature encashment OBL will still give interest at the Savings Deposit rate. EDUSAVE is a Deposit Scheme that offers the client to select from monthly installment amounts of TK. 500 / 1 ,000 / 1 ,500 / 2,000 and a tenor of 5 / 8 / 10 years, on the applicant’s convenience. Small Business Loan Scheme product was developed for providing financial assistance to small business units at urban and rural areas who cannot offer tangible securities. The Bank has incorporated easy terms and conditions and provide client counseling. ONE Bank Limited is one of the few banks that receive Bangladesh Bank’s refinance for supporting the growth of SME sector. The Bank has established one window service for SME Financing in line with the Government’s focus on development of this potential sector. The tenor assigned for SME Loan is 2 years and the applicant can pay in quarterly payment system. The bank gives the guidelines for the procedure and the payment schedule. º Self-Employed tax paying individuals having a reliable source of income. 2 Personal Guarantor: 1 Spouse/ Parent and 1 reliable person. Businessmen – Minimum 2 years in current business.